IAA is governed by 9-member Board of Trustees, who are democratically elected in the Annual General Assembly. To maintain continuity of program and administration, 5 BoT members are selected for 3-year terms, and 4 are selected for 2-year terms. All of these are written in IAA’s Bylaws. As common in Indonesian culture, people are recognized by their first name. Kadek Wardika Hemawan is originally from Singaraja, Bali. He moved to the United States over twenty years ago and received his undergraduate and graduate education from Michigan State University. He has been living in the Washington DC area since 2010 and work as a scientist. He is an active volunteer in an interfaith community-based organization that cooks for the homeless in DC. He is an ad-hoc reviewer for several technical scientific international journals and is an advisor for BasaBali (a collaboration of people around the world that preserves the endangered Balinese language). He currently serves as the president of Banjar Bali USA, a social community in the US that shares and promotes traditional Balinese arts and performances. He likes to play gamelan music and is also an avid golf, tennis, and soccer player. Originally from Bandung and went to Bandung Institute of Technology to complete his degree in Civil Engineering, Oscar moved to Pittsburgh to continue his study in Mechanical Engineering. 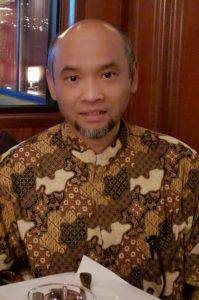 Later on started his career in IT industry and has been working in the field for 17 years and currently working for a private company in Tysons Corner, VA.
Oscar and his family moved to DC area in 1998 and is a long time activist in the Indonesian community. Before getting involved in IAA, Oscar served as IMAAM Board of Trustee (2002-2010) and IMAAM President from 2010-2013. An avid badminton player and mountain bike rider, Oscar has a big attention to the Indonesian Youth in the community. Oscar is married to Dwitra and has two daughters. 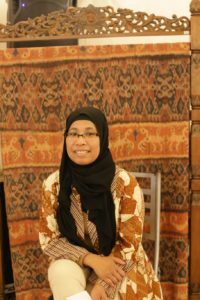 Nadia Syahmalina is an Indonesian American who was born in Jakarta, Indonesia and grew up in Morgantown, WV. She moved to the DC area in 2003 and has lived there ever since. Her passion for youth activism, community outreach, and civic engagement is the driving force behind her involvement in and collaborations with various organizations like IMAAM, IAA, the Muslim Democratic Club of Montgomery County, DC Central Kitchen, Shepherds Table, Asian American Health Initiative, and Faith Working Group of Montgomery County. Prior to her current role in the IAA Board of Trustee, Nadia served on the Board of IMAAM from 2008 until 2013 (her last role was as its Vice-President) and also currently serves as the Vice -President of the Muslim Democratic Club of Montgomery County (which she co-founded in 2015). 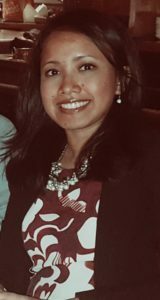 A graduate of the University of Maryland systems, she lives with her husband and two sons in the DC area and works as an Operations Manager for a national financial institution. 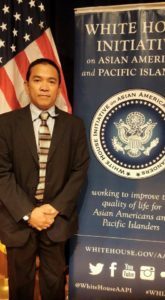 Formerly a journalist and a manager in several construction companies in Indonesia, Andang Purnama moved to Washington DC in 2004. He participated in many social and community groups around the area. 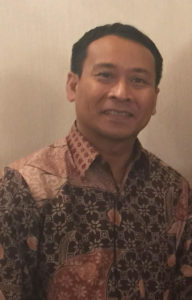 He was one of the founders of Indonesian Diaspora Network (IDN) established in Los Angeles, USA, in 2012. In 2009 and 2014 he was involved in the Indonesian Election Committee in Washington DC. Currently, he is working as an Indonesian Language Instructor at a government institution. Yazid Amkas is a former Journalist/Editor from Jakarta, Indonesia. He moved to the United States to pursue his Master’s degree in Southeastern University, Strayer University and received his MS in Information Technology from University of North America. 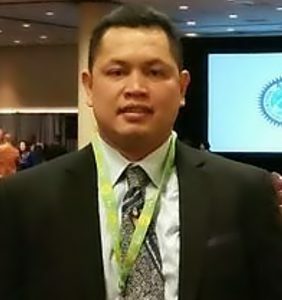 He has been living in the Washington DC area since 2006 and currently works as a contract Interpreter for Office of Language Services, Department of State and he also works as an intermitten Indonesian Language Instructor for serveral well-known language institutions, as a part of Defense Language Institute schools, in DMV area.